We are living in a very dynamic time. Work location can become a temporary destination, where people change jobs worldwide more than ever before. 232 million people worldwide are living outside their country of birth*. This kind of lifestyle is an adventure, but it also brings two major, less discussed challenges for everyone in a family in global transition: the possible loss of sense of belonging and questions around identity. Many organisations have realised that if they want to stay relevant and attract a diverse cohort of employees, they have to adjust the way they work to address the changing reality and the challenges it brings. 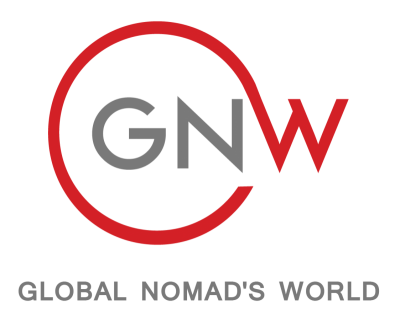 At Global Nomad’s World we believe that being part of a community is a basic need and can greatly impact the success of the whole family in their global assignment and the ability of the employee to accomplish goals and tasks for which they were hired. Research* has indicated that the success of the global employee is directly linked to the success of the families’ transition into a new community. When the employee feels included in a new community all the other challenges that come with any move are more manageable. Parents can work, children can study and spouses can find a supporting group with meaning to start their own journey. Based on what Abraham Maslow suggested in the Hierarchy of Needs model,* which remains valid today, any individual needs have to be met in order to grow. “One must satisfy lower level deficit needs before progressing on to meet higher level growth needs. When a deficit need has been satisfied it will go away, and our activities become habitually directed towards meeting the next set of needs that we have yet to satisfy. Once these growth needs have been reasonably satisfied, one may be able to reach the highest level called self-actualisation”*. This is the level of motivation and operation an organisation needs new employees to achieve. As the employment market gets more competitive for skilled labourers, organisations are investing heavily in acquiring talented employees. But in order to enable these employees to function at their fullest potential, self-actualisation must be achieved for the individual and the family. Organisations are usually trying to provide the first two levels of needs: physiological needs and safety needs. The employee is left alone to achieve the three next levels. As we suggested, the need of belongingness and love is one that can be supported by offering the possibility to join a community and being part of something.